Manufacturing in Ontario is currently strong, with companies embracing technological change and harnessing efficiencies. But there were economic challenges in the past. From 1990 to 2001, employment in manufacturing within Ontario grew steadily. In fact, Canada was one of the few economies to have seen continued growth in the manufacturing industry during this time. From 2001 to 2005, however, the industry started to experience a downturn, and by 2008 the global economy had slid into a recession. In the early 2000s, changes in the manufacturing landscape were already starting on an international scale. The labour-intensive work from developed countries was being outsourced to other countries. Also, digitization was being used to automate processes previously requiring skilled labour. The recession caused consumers and companies to tighten their spending, meaning fewer vehicles were purchased, automation increased, and less expensive labour forces were used overseas. This worsened the downturn for the manufacturing industry. From 2004 to 2010, 300,000 jobs were lost in Ontario manufacturing. The big three American automakers (General Motors, Chrysler, and Ford) were heavily impacted. They had employed a substantial fraction of Ontario’s manufacturing workforce, and even with the support of the Canadian government many jobs were lost and many families impacted across the region. As the economy rebounded, Ontario manufacturers continued to invest in technology to make operations more efficient, safer, and less prone to unplanned downtime. While automation two decades ago was blamed for the loss of some jobs, digitization is actually now creating as many jobs as it is outdating. 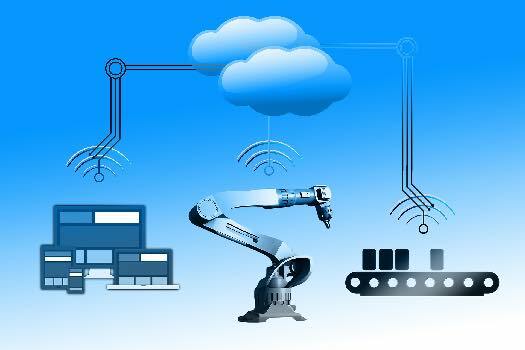 The continued automation and digitization of the manufacturing industry (and others) is called Industry 4.0 or the 4th industrial revolution, a term that characterizes the way computing, big data, and the Internet are being used to increase efficiency in daily work. With all this progress, and with higher tech manufacturing plants, employers are focused on recruiting workers with the required skills. Eastern Ontario employs 65,000 people in manufacturing, and is home to many large successful companies. Procter & Gamble, producing the AlwaysTM brand at the plant in Belleville, is a cutting-edge, clean, and professional operation that is recruiting the best and brightest graduates in robotics to support robot arms and auto-gliding vehicles. Kruger Products (makers of Cashmere bath tissue, and Sponge Towels) manufactures paper products in a state-of-the-art 300,000 square foot facility. This is just one example of a clean and modern work environment which employs hundreds in eastern Ontario. Other Ontario manufacturing success stories include safety mat production, 3D printing technology start-ups, and custom labels created for children’s clothing. Companies are thriving in eastern Ontario, and are proud to employ local residents in their successful technology-driven businesses. Not only does eastern Ontario have a promising future with its manufacturers but it’s also a great place to live.